It is important to enjoy a night out with friends or family, occasionally. 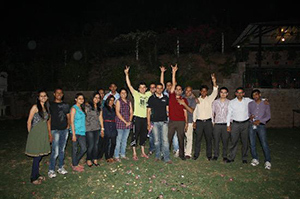 With everyone’s busy work schedules, it is not easy to relax without such parties once in a while. It is not easy to plan a night out with friends. Fixing the date according to everyone’s convenience would be a tough job, so would inviting everyone for the party. Here are some tips to plan night out parties with friends. Fix the date: The best option would be to go for a public holiday or a weekend. However, you must make sure that all your friends would be available on the day. Venue for the night out: If you are planning a night out wuith friends, then it is easy to decide the venue as you would already know what they would like best. If you don’t, you have to find out about this before you decide the venue. When you are planning a night out with family, you can just choose a new restaurant that you would like to try. Make sure you do a check of whether the bill will match your budget. If you are planning a fixed budget, then it is better to go for a buffet style dinner or lunch. This way you will know the amount beforehand. Invitations for the night out: If you are planning a night out with someone you don’t know very well, or with a big group, then you must send out invitations. Sending online invitations would be the best option as it is more efficient and also saves you money and time. Select a cool template, enter all the details and then send all the invites at the same time. Food for night out: If you are planning to go for a big game or a movie on the night out, then you must make sure that you make arrangements for the food as well. Also, if you are planning the party on a public holiday, then you must make prior booking in the restaurant you are planning to go. It would not make sense to go without prior booking to a hotel if you are having a large group. If you are including alcoholic beverages in the night out party, remember to keep everything safe and try to avoid unnecessary problems!